I love Black Friday. With a little organization, Black Friday allows you to get your holiday shopping out of the way, leaving time to focus on the real meanings of the season. All with the added bonus of bargain shopping! I’ve got my Black Friday lists ready, thankfully a lot of this can be done on-line nowadays! And because I would truly love to help you or your loved ones with their fitness goals in the upcoming year, I’ve got some pretty cool Just Feel it Fitness Black Friday deals for you too. Head on over to my Promotions Page to check them out! Give the gift of fitness. Get your shopping done. And let’s focus on the holiday season without all the stress. 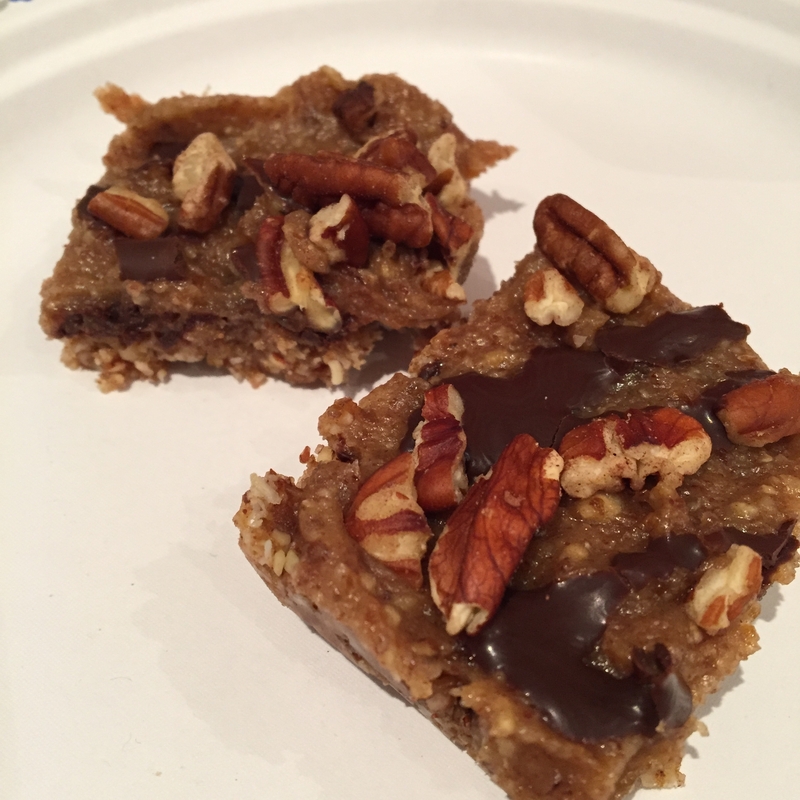 In an effort to make it feel a little more like Thanksgiving on this snowy day in Canada…I didn’t make turkey, I opted for these yummy no bake pecan pie bars. You’re going to love this recipe. Combine crust ingredients into a food processor and process until a thick dough forms. Press the dough into an 8X8 square pan. Put in freezer while making the filling. Add all filling ingredients into the food processor and process, add more water if necessary. Spread the filling on top of the crust. I drizzled melted chocolate chips on top and sprinkled chopped pecans. YUM. ← Should you workout with a cold?